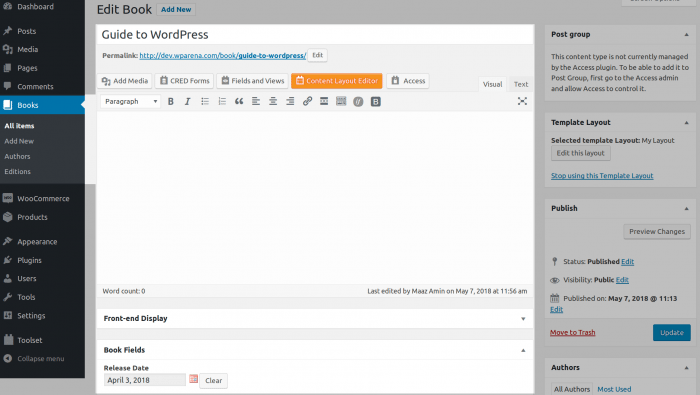 Toolset Review: An All-Purpose Advanced WordPress Enhancer? Toolset Review – An All-Purpose Advanced WordPress Enhancer? 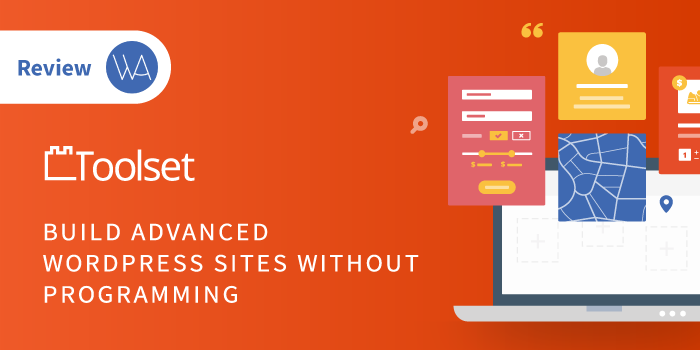 Building a sophisticated WordPress website is a challenging task for novice users who lack the coding expertise. To resolve that problem, one has to buy numerous individual plugins which is not cost effective. But there is always a way out. Toolset is yet another pack of plugins that has the potential to overcome this problem but how? Let us find out in this review. Toolset is years of work done by developers behind the famous WPML translator. It is a set of six extensions that aim to perform complex WordPress tasks without even touching a line of code. All the plugins have their own GUIs in separate tabs. I will list them one by one with their brief explanation and put them in practice. Toolset WordPress plugin allows you to create custom fields, post types, and taxonomies out of the box with simple clicks. In the recent release, Toolset also introduced many-to-many relationships that is also one of it’s kind and is rare to find in other competitors of WordPress Toolset plugins. Latest Toolset release also focused on repeater fields and introduced it. Types open a new world of possibilities that the default WordPress pages and posts cannot provide. Post Types: To elaborate, if you want the user to search through a collection of books add a new post type named “books.” You will see the appointed icon on the side panel of the dashboard. This keeps the book content contained and categorized. Furthermore, a custom template layout could be selected for more differentiation between regular and book content. Custom Post Taxonomies: After Toolset post type, you have custom post taxonomy. It is similar to WordPress category or tag except that it can be made specific to pages, posts, media or custom type of post like books. Custom Fields: Next, you can create a group of post fields. After saving the group you can add as many fields as you wish. I have added a date field. It can be used to display data in the front-end or retrieve it through search keywords. Validation can be checked to make sure the data entered is valid and an optional error message can be displayed too. Many-To-Many Relationships: What are many-to-many relationships. You might have come across to this term rarely as it’s introduced in the latest release of Toolset plugin. Let me explain a bit about it. Many to many post relationship enable you to combine an item with many others from a different custom post type and vice versa, offering you maximum flexibility when it comes to building your website. 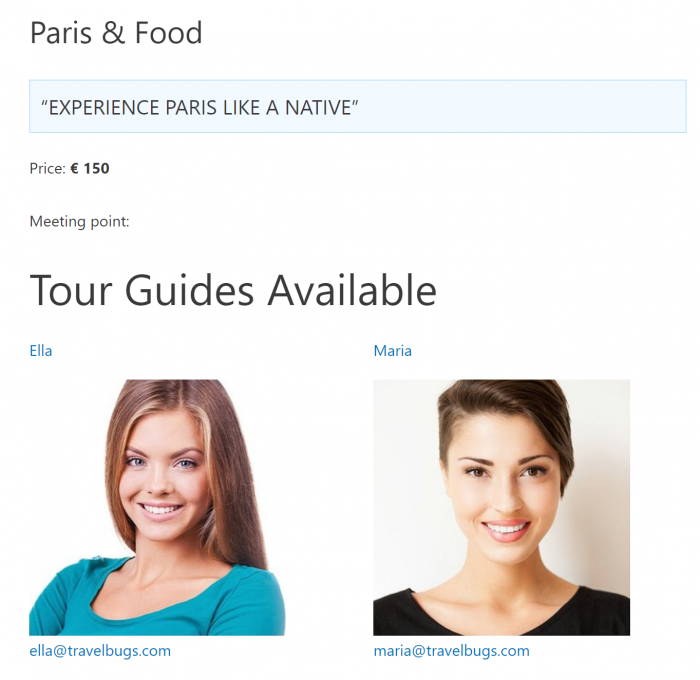 As an example, on a website advertising tours in Paris, we might want to create a connection between our “Tour” post type and our “Tour guide” post type. Our tour guides Ella and Maria might both be assigned to the Food & Paris tour. However, Maria will also take the Paris By Night and Eiffel Tower tours. To create all of these connections, we need a many-to-many relationship. Repeater Fields: If you have ever come across the famous Advanced custom fields plugin by Elliot then you might have some knowledge of Repeater Fields. But if not, then don’t worry as I will teach you a bit about repeater fields. Repeater fields are used to add the same data pattern in the sub-fields again and again without knowing the limit of rows and it can be organized into repeater groups. In short, if you don’t know how much data is needed for a post like displaying different sources at the bottom, then you can use repeater field. Each Post can have a different number of sources but the pattern of displaying sources are same. Let’s dig further into the modules of Toolset. Views has a module which allows personalization of WooCommerce sites. This will enable custom searches for shopping items and pave the way for a great WooCommerce store. If you want to store this view you have just created and use it for another website then create a new module and name it. You will not find editors in other plugins. They are developer-friendly but non-coders may struggle against them. So in order to address that problem, Toolset has a formatting and editing instructions beneath the editors which can be quite handy. One more unique option Views has is Scan which locates the place where a created View (shortcode) is being used. These are some really cool features that prove Toolset to be a reliable builder. This Toolset plugin lets users enter data through forms which are ultimately added to your database. For instance, a user can add a new book along with its description and author to the book directory. Another simple application is a registration form. And all of this will not even require writing a single line of PHP code. CRED can also allow visitors to edit the content without logging into your WordPress site. Via CRED plugin email notifications can also be sent upon content submission. Additionally, the facility of reCAPTCHA is present in CRED to counter SPAM. For insertion of a form in your post or page click the CRED Forms button in the toolbar which inserts a shortcode. All in all, CRED enables user interaction with the help of a form builder. CRED has an extension named CRED commerce which implements a payment system in the forms when they submit the data. There are 3 other plugins in the Toolset package (Layouts, Access, and Maps) that expand its functionality. This tool limits the access to Post Types, Taxonomies, Posts Groups and CRED Forms to your site’s administrator, editor or any other role. This proves the flexibility and modularity of Toolset. It leaves no stone unturned to provide every imaginable option. Custom roles is a unique feature in which you can add roles like subscriber, manager or VIP manager. Besides that, their authority can also be managed. All of this can be done by only using the GUI which is easily understandable. In a nutshell, the plugin allows to display Google Maps and place custom markers on it. The application of this plugin can be in the “contact us” or “about” page. The map can also be linked with a search form in case of a tour website. This results in a visually engaging customer experience and high conversion rate. Creating a backup of Toolset settings is a piece of cake with the Module Manager. As apparent from its name, you can export all the settings or specifically select modules and save them as a zip file. Add New >> Add All Items >> Export. Toolset also provides a module library which is accessible for free. You can download the free modules which will give a jump-start to web-development. For beginners, Toolset has Starter Themes that are barebones themes optimized for WooCommerce and other popular plugins. Despite the fact that Toolset works stably with the majority themes, if you are running into an issue you can build upon those reference sites. These are made by the Toolset developers and are optimized for its plugins as well. There are 6 premium template websites (serving different purposes) that can be viewed or downloaded. Another prominent feature of the free themes is the incorporated Bootstrap grid system. This massive bundle has two license types. For single site owners, it costs dollar 69 a year. For unrestricted sites and working for clients with Toolset—without distributing files, of course—you have to pay $149/year. Whereas annual renewal is rewarded with 25% discount. Conversely, you can contact the team and buy individual plugins. Toolset website has a dedicated support forum. Its website can be officially translated into four languages and free consultation is available too. Furthermore, each plugin has its own documentation which covers each aspect of it. The plugins’ potential can also be seen in the examples of websites incorporating it. In terms of support, Toolset is certainly up to the mark. So where does the package falls short? The bundle of WordPress plugins can be hard to understand at first, although the tooltips are present. This is due to the hundreds of options you can configure, but once mastered each of them is worth it. For developers, working with Toolset will be like doing visual programming. Also, the plugins could be more user-friendly and the documentation needs to be shorter and to the point. Moreover, you still need a little programming know-how to use some of the Toolset tools. So this set is a site builder geared towards intermediate users and developers alike. Bearing in mind the 1-month refunds policy, the live examples and the endless possibilities, you can definitely power your site with Toolset and be more efficient. Additionally, Toolset integrates seamlessly with Beaver Builder, Elementor, and Divi. The building blocks of Toolset open the door to complex searches and websites, be it a directory website or another sophisticated page. Without prior coding knowledge, intermediate and advanced users can leverage Toolset to accomplish technical tasks with ease. Toolset has been in the WordPress industry since 2011 and on 18th of May, the rock stable version of Toolset will be released. So without any further ado grab this powerful set of plugins and enjoy annual discounts. Also, let us know what is your opinion regarding Toolset? Share your thoughts about this plugin with your creations in the comments form below. weForms Review – Create Contact Forms In Easiest & Fastest Way! I don’t recommend using this plugins. Authors introduce stuff and later discontinue them (Toolset Starter Theme, partial funcionality of Layouts). If you are PRO and get paid for sites you should think twice.